The Motorola MVX-2100 is a great cost effective mobile radio. When high power is your main requirement this is your radio! Designed for reliability and function, all at a very affordable price. 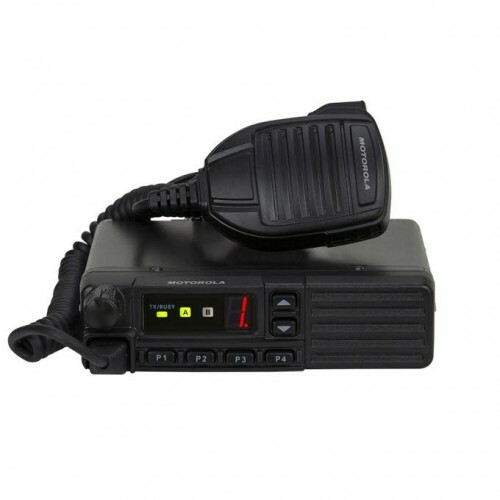 This mobile radio is compact and has a multitude of scanning options to manage your communication needs. Designed for a variety of applications. With safety in mind, the MVX-2100 has several safety features such as Lone Worker, Emergency Call Initiation, and a Horn Alert for when problems arise. With the optional VME-100 board installed this radios is compatible with the rest of your MDC-1200® fleet. The MVX-2100 includes over-the-air Stun / Kill / Revive to disable a lost or stolen radio. In addition, it has a public address speaker. Antenna is required for operation and must be purchased separately.